There’s a lot I don’t understand about human free will/decisions and being “fated” to do the will of God that this chapter brings up. Were these extenuating circumstances because of the importance of the fulfillment of Scriptures or is this how God’s will is worked out every day? What I do know is that God always does what is good, right, and perfect. If I could understand Him completely, He would not be worthy of my worship. For now I will just have to trust. V21 – Here’s more evidence that things are going according to His plan, not that His plans are being interrupted by people’s plans or He’s having to react and adjust His plans according to what other people are doing. He’s been saying He would be betrayed since before they even got to Jerusalem (20:18). V23 – The ESV says this dish is something that everyone would have been dipping into so that statement could have meant anyone at the table. But the ESV also translates it “Judas answered” which implies that Jesus was talking to him. V24 – More proof that this has been the plan all along. The OT prophets wrote about Jesus’ death thousands of years before. But Judas has not had his heart changed by God. His name will be associated with betrayal for the rest of history. V25 – Everyone else addressed Jesus as “Lord” but Judas calls Him Rabbi (Teacher). That had to be a painfully tense moment for Judas. The question went around the table, so when it came to him, he of course had to ask. If Jesus says yes, the other disciples are likely to take some kind of action to try to stop him. He can’t say no because that would be a lie, but Judas is probably desperately hoping that Jesus doesn’t know his thoughts. Jesus’ answer is a common way of deflecting responsibility back upon the one asking the question, according to the ESV. V31 – None of the disciples were able to stand and stay with Jesus in the face of persecution this time. Later, the Holy Spirit would give them the strength to do so, but this time their fear and sin caused them to abandon Him. V32 – He immediately reassured them, not only that He will not stay dead, but that He will be waiting for them back home. He will not hold their abandonment against them. V33 – Peter desperately wants to stay devoted to Jesus. V34 – Jesus knows the reality that belies Peter’s intentions. V35 – Peter’s got some serious adrenaline flow. He can see things are coming to a head. Perhaps he is expecting a fight in which he can defend Jesus to the death. That would be much easier, in a way, than what Jesus asks of him, which is to stand by Him as He allows Himself to be led away and slaughtered. Even though Jesus has been predicting His death, I don’t think anyone expects Him to go without a fight. ◊ Do I trust Jesus is in control and stand by Him and defend His name no matter what the circumstances: whether He asks me to fight for someone I love or let them go? V36 – Why didn’t He ask His disciples to pray for Him? He didn’t even ask these eight (12 less Peter, James, John, and Judas) to stay awake. V37 – When He’s with His closest friends, He lets His emotions show so they can share the load. V38 – He’s so sad He feels like He’s going to die. It would have been a lot easier way to go. Why sad? Why not scared or angry? Sad that He would be separated from His Father. Sad to experience sin and the way it kept Him from feeling His Father’s love. Sad that people couldn’t understand how deep His love, couldn’t and wouldn’t worship and obey Him, despite all He’d done for them. V39 – This verse encourages and teaches me in so many ways. His humility, honesty, and submission in this verse give me an example of how I can and must submit to God in all circumstances. V40 – Why did He stop praying and go to the disciples? For encouragement? To urge them to pray? V41 – He’s addressing Peter’s previous bravado. You think you can, but you cannot without the help of the Holy Spirit. ◊ In what areas is my spirit willing but my flesh weak? Do I pray about that? V42 – If there’s no other way around this, I will do it. He’s bringing the wight of the request before the Father but promising submission. V43 – Why did He come back again? Did He want the reassurance of their friendship? He didn’t bother to wake them this time. ◊ Am I “sleeping” while a friend needs me to be awake and pay attention in prayer for them? V44 – His prayers aren’t wordy. V45-46 – He knows because this is all part of the plan. 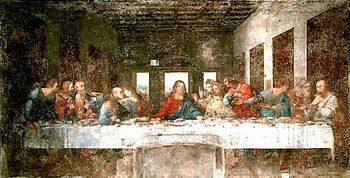 This entry was posted in Christianity, Matthew 22-28 and tagged betrayal, communion, Gethsemane, God's plan, God's sovereignty, last supper, prayer. Bookmark the permalink.